Ontario becomes the first in North America to be coal-free. Coal is no longer being used to generate electricity in the Canadian province, which is now utilizing alternative energy sources to produce power in place of coal. Advanced biomass has been selected as the clean energy alternative. The Thunder Bay Generation Station was the last place in Ontario to burn coal for power. The 300-megawatt power plant opened in 1963 and is the province’s oldest coal-fired station. Even though coal burning has finally ceased, a goal that was reached earlier than expected, the Thunder Bay Generating Station will continue operating. 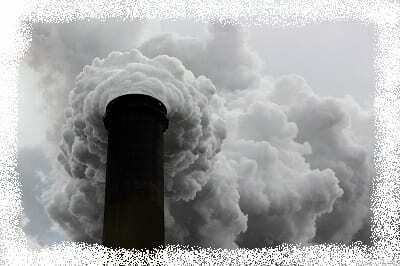 There is a plan to convert the power plant into one that uses clean energy for producing power. Originally, there had been plans to switch the plant to natural gas, but this idea was abandoned. The conversion, which is already underway, will allow the station to use steam exploded biomass fuel, also known as advanced biomass. The Ontario Power Generation (OPG) believes that the power plant in Thunder Bay will become the first one in the world to use this form of alternative fuel for electricity generation. The conversion of the station is not only good news for the environment, but also for workers at the plant, as 60 jobs will also be kept in the process. Coal power has been replaced with different alternative energy sources. “Today we celebrate a cleaner future for our children and grandchildren while embracing the environmental benefits that our cleaner energy sources will bring,” stated Bob Chiarelli, Ontario’s Energy Minister. “Getting off coal is the single largest climate change initiative undertaken in North America and is equivalent to taking up to seven million cars off the road,” Chiarelli said. Coal power may be gone in Ontario, but there are plenty of other renewable energy sources to replace it that are being used for generating power. Moreover, many of these sources, such as biomass, wind, and solar, are all good opportunities for farmers and other producers in the province. Wind energy, in particular, is showing a lot of promise. According to the 2013 Ontario Electricity Data report, released by Ontario’s Independent Electricity System Operators (IESO), over the last four years, this form of alternative energy generation in the province has doubled. The report shows that wind power reached 5.2 TWh (TeraWatt hour) in 2013 compared to the 2.3 TWh in 2009.